AKA Happy Day Before Friday! 2. I have formed a recent obsession with Acai Bowls. I know I'm a little late to the game, but I'm here and I'm not leaving anytime soon. I want to make them at home, because $10 at Juice Generation is a little steep. But, I don't leave myself enough time in the morning to blend and create. Is there such a thing as an overnight acai bowl? Something I can grab from the fridge in the morning and bring to work? 3. 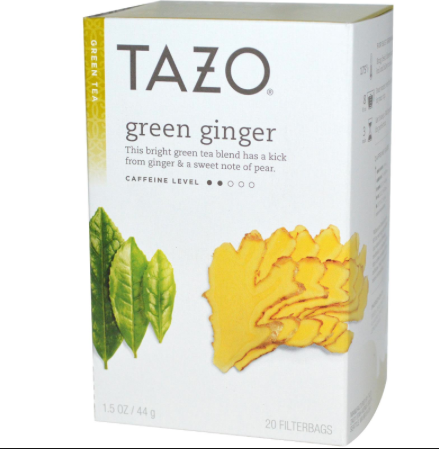 My new obsession with Tazo Green Ginger Tea. It's definition all in one! 4. 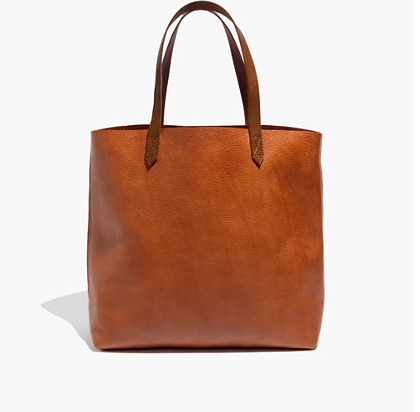 This Madewell Tote that I've had my eye on for a while now. I always want a cute, smaller bag. But during the week, when I'm trying to carry my lunch and my gym clothes and possibly a laptop to work with me, I have to give in to the tote. Doesn't mean it can't be a cute tote! What do you use for a trendy carry-all?